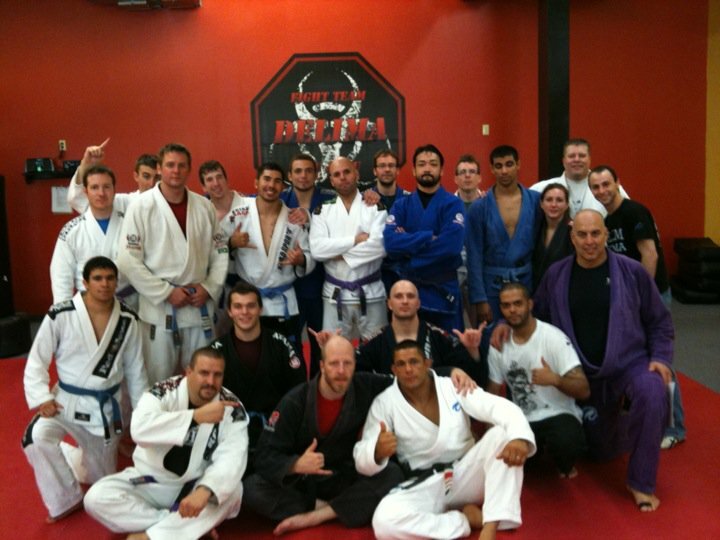 The seminar was very fun and informative yesterday. 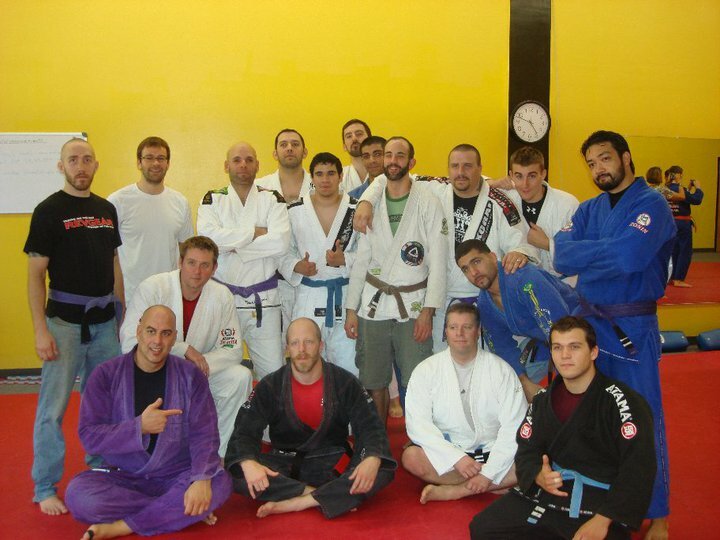 It was great to have a world class competitor and coach, Marcus Aurelio, there to provide lots of MMA and BJJ tips and techniques. 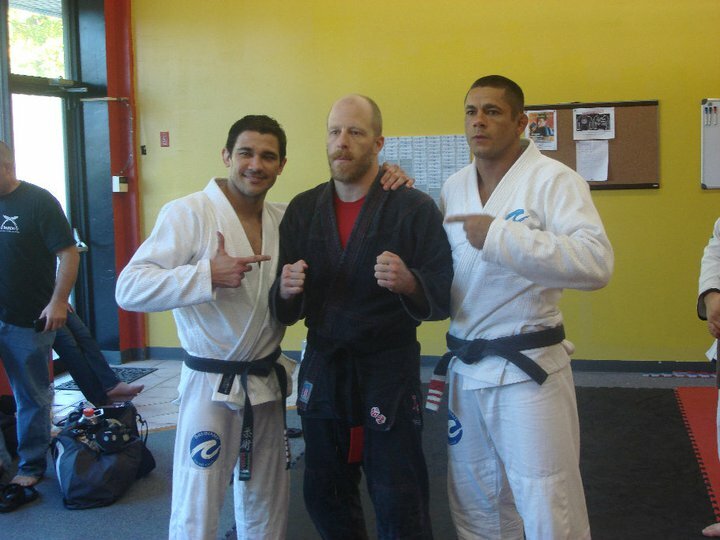 After going overtime in both no-gi and gi workouts, special promotions were held in which Jay Bell received his black belt from head instructor Marco DeLima. Congratulations, Jay! As after all good martial arts seminars, a long photo shoot ensued. Here are some great shots of the Team DeLima/Team Plus One crowd. Thanks to everyone for a great day! Thanks also to Josh Hesser for hosting us at ABD in Colchester. This entry was posted in Jiu-jitsu, News and tagged America's Best Defense, Brazilian Jiu-Jitsu, jay bell, Marco DeLima, Marcus Aurelio, Mixed martial arts. Bookmark the permalink.